WATERLOO, IA – Brian and Tiffany Aronson will be welcoming a new baby later this month. When Baby Aronson arrives, he or she will be heading home from the hospital with a brand new board book – a gift given in memory of big brother Luke. The book is part of the Books for Babies program, a new initiative spearheaded by Cedar Valley United Way Emerging Leaders. 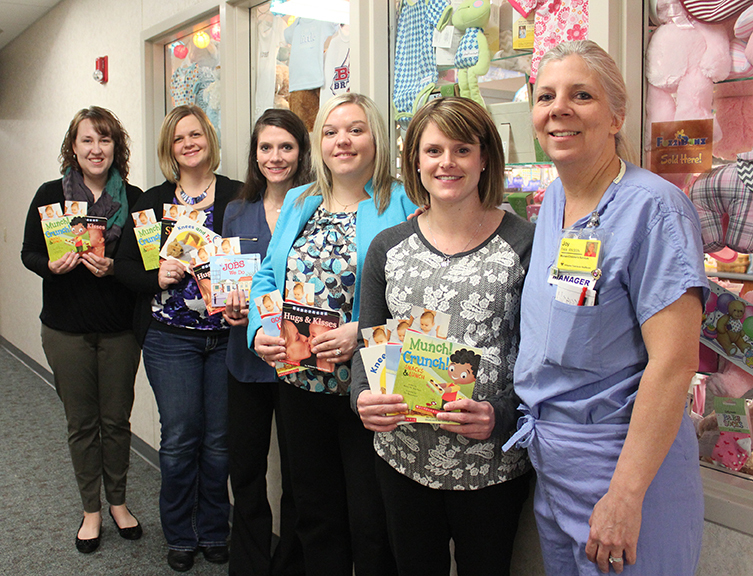 The program will provide a new brand book for each baby born in Black Hawk County as well as information on the importance of reading for the new parents. Last year, a startling statistic caught the attention of a few Emerging Leaders, a group made up of United Way donors 40 and younger who give $500 or more to the organization. In low-income neighborhoods, the ratio of age-appropriate books per child was one book for every 300 children. The Emerging Leaders committee began designing a program that would help get books in the hands of children. The Books for Babies project was born. Luke Aronson passed away unexpectedly in July of 2013 at just 3-months old. Brian and Tiffany set aside memorial gifts given for their son, hoping that they might find a way to use the money to help other children. Brian became aware of the project in January through his involvement with United Way. At the time, the Emerging Leaders had initial funding for the Books for Babies project but were still looking for the remainder of the funding needed to get the program off the ground. In addition to the 3-year commitment in memory of Luke Aronson, funding for the initial year of the Books for Babies program was provided through grants from Cedar Valley United Way and US Bank. Strategic Imaging donated printing for the project. 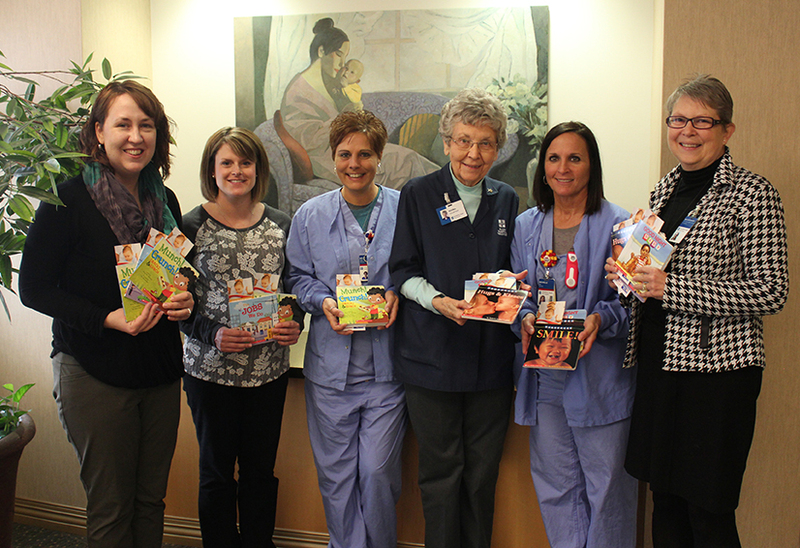 Books, stuffed with bookmarks full of reading tips for parents, were delivered to Covenant Medical Center and UnityPoint—Allen Hospital this week. Both hospitals will begin distributing books to the babies delivered at either location. Between the two hospitals, nearly 2,500 babies are born in Black Hawk County each year. “The benefits of early reading continue throughout a child’s life. Our Emerging Leader group has identified one more way we can help children in our community thrive,” said Sheila Baird, Cedar Valley United Way president. “So much learning is done in the first three years of a child’s life. Parents are the first teachers. The Emerging Leaders are excited to be able to provide a tool and resources for all parents in our community,” said Miller. For more information about the Books for Babies program, visit www.cedarvalleyunitedway.org/BooksForBabies or contact Samantha Meier at samantha.meier@cvuw.org or 319-235-6211 ext. 20. 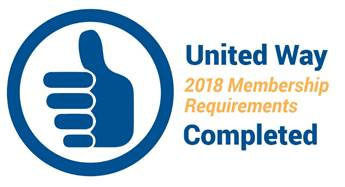 Cedar Valley United Way is committed to leveraging resources including financial contributions, community expertise, in-kind contributions and partnerships to fuel impact here in our community. Their focus is to improve and promote education, income and health within the Cedar Valley. For more information about the Cedar Valley United Way, visit www.cedarvalleyunitedway.org.